Renewable energy and environmental technologies have become the critical elements for sustainable development. Waste biomass has been regarded as an attractive sustainable resource due to its neutral position in the carbon footprint cycle for bio-energy generation and its abundance in volume for large-scale value-added environmental product manufacturing. This seminar will first introduce the potential use of various biomass resources for renewable energy generations and waste management. In particular, the feasibility in using biomass for co-combustion with coal, chemical looping combustion process and syngas generation will be demonstrated. In the second part of the seminar, the production and application of the carbonaceous functional material, such as biochar and activated carbon, derived from biomass for various environmental pollution control and recourses recovery applications will be discussed. Dr Kwong received his PhD in Environmental Engineering from the Hong Kong University of Science and technology and is currently a senior lecturer in the School of Chemical Engineering at the University of Adelaide, Australia. He specializes in air pollution control, waste management, catalysis and biomass energy generation. He is particularly interested in converting waste materials into value-added functional products for environmental mitigations. He has been investigating the production and performance of functional carbonaceous materials from the pyrolysis of various agricultural residues for bioenergy generation, wastewater treatment and air purification. He has published more than 40 articles in high-impact journals, peer reviewed conferences, and technical reports in his field. He was also awarded a prestigious fellowship by the Japan Society for Promotion of Science for an innovative waste management solution in 2016. 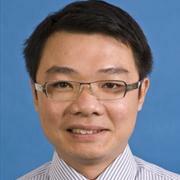 Recently, he and his PhD students received financial support for the South Australian Government to form a spin-out company to bring his research to the market and develop sustainable solutions for industries to co-produce bio-energy and functional materials from agricultural wastes.